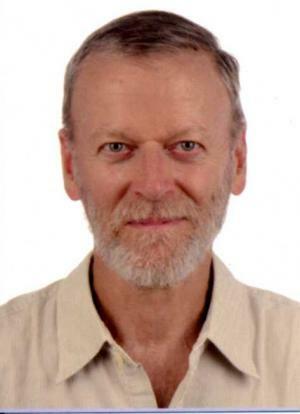 Bruce D. Patterson is the MacArthur Curator of Mammals at the Field Museum of Natural History (FMNH) in Chicago, Illinois, USA. He is also an authority on lions. On April 19, 2017, Patterson, along with Larisa DeSantis from Vanderbilt University in Nashville, Tennessee, USA, published a new study about the most (in)famous man-eating lions of all time, the Tsavo Maneaters. In his study, Bruce Patterson studied the lions’ teeth and proved that in their last days, they were not devouring whole human carcasses (flesh, bones et al) as Lt Col John Henry Patterson, the British Army engineer who killed them had observed in his book. Bruce has also proved that dental injury, rather than drought or an attack of rinderpest led the lions to turn to man-eating. 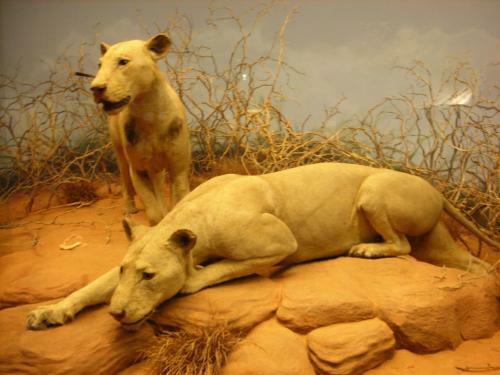 In your study, you have written that the aim is to test the hypothesis that the Tsavo lions had eaten hard objects like bone in their last days. This also led you to show that (and you did show) that dental injury, rather than drought or an epidemic had led the lions to turn to human flesh. What drove you to test on these lines of thinking? This new study directly tests those hypotheses—which all involve scavenging—and finds no evidence to support them. Had previous studies, including those by yourself delved into this particular line of thinking? We previously lacked the tools.Dr DeSantis and her DMTA (Dynamic-Mechanical Thermal Analysis) techniques offered a means of collecting data bearing directly on the extent to which the Tsavo man-eaters had been scavenging carcasses. In most media coverage about your study, the following few words by Lt. Col. Patterson have been mentioned: “I have very vivid recollection of one particular night when the brutes seized a man from the railway station and brought him close to my camp to devour. I could plainly hear them crunching the bones, and the sound of their dreadful purring filled the air and rang in my ears for days afterwards.” Now that we know through you study that the Tsavomaneaters were not the bone crunchers of legend, should we believe that the Lt. Col. was exaggerating in his account (since he had a book to sell) and that as a sportsman-author, he was less honest to his audience than peers such as Jim Corbett for instance? That is a possible conclusion. It should be noted that his book was published in 1907, nearly a decade after the events. He also arrived in Kenya in March 1898, the first attack he witnessed occurring within a week of his arrival so he was hardly an expert. This bone-crunching stuff, the references to the lions as “huge brutes” with enormous length and height measures (but their skulls show that they are simply average male lions for East Africa), and the inflated human tolls he estimates (up to 135 victims in his 1925 pamphlet) all call into question the accuracy of his descriptions. Few can doubt the power of his story-telling though! Your study is perhaps closure for the Tsavo case. But having shone the light on dental injury rather than drought or epidemics as the cause of man-eating, can we say that these last two played no role at all in the entire tragedy? Opportunity is central to every man-eating event. A lion’s cost-benefit analysis of attacking a human depends on many factors, foremost among these the availability of other less risky meals. Is “35” the most accurate number of human deaths that occurred at Tsavo.? Or is the jury still out? How can your study be of help in understanding human-lion conflict in present- day Africa and Gir, India? Our study was a forensic one, possible only because we had access to the lions’ remains. And it is an idiosyncratic one, in that the circumstances in Tsavo are unlike those in Tsavo this year, much less like those in Gir. But one generality that seems robust is that lions that are old, badly injured or otherwise unable to tackle normal prey represent real threats to local people. Can your study also have lessons for those studying instances of man-eating by other pantherines such as tigers and leopards in Asia and Africa? Clearly, these same lessons apply to leopards and tigers, as has been developed in the writings of Jim Corbett and Kenneth Anderson.